An act of terrorism refers to the systematic and diabolical use of terror as a means of coercion. Although there is no universally criminal law definition of terrorism, common characteristics of the act refer to the delivery of violent acts which are intended to precipitate fear on a given society or nation. Acts of terror are typically perpetrated for a political, ideological or religious goal; terrorists deliberately target and subsequently disregard the safety of civilians to forcefully instill an ideological goal. When a terrorist organization attempts to achieve such a goal through terrorism, they are using fear and terror as their primary mechanisms; violent acts, when delivered to a society at random, invariably make a community or nation acknowledge the underlying motive. All terrorists and their underlying terrorist organizations will not align themselves with government organizations or formal government bodies. Definitions of terrorism will always include acts of unlawful violence and war. That being said, any action that precipitates violence on a society and disrupts the harmony and general function of a sociological setting will be considered an act of terrorism. The September 11th attacks were a series of systematic suicide attacks coordinated by Al-Qaeda—a national terrorist organization comprised of Muslim extremists and led by Osama Bin Laden. On the morning of September 11th, 19 al-Qaeda terrorists hijacked four commercial airplanes and intentionally crashed them into the World Trade Center in New York City, the Pentagon in Arlington, Virginia and the fourth plane crashed into an open field near Shanksville Pennsylvania. 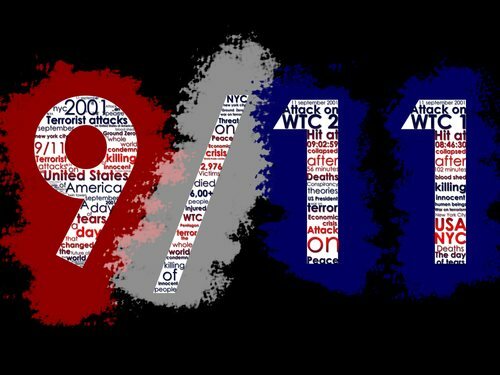 The attacks of September 11th killed every single passenger on board of the airliners; in total, nearly 3,000 victims died in the attacks of September 11th. Additionally, according to the New York State Health Department, 836 responders (firefighters and police personnel) perished from the aftereffects of the attack and the recovery attempts. The attacks of September 11th on the World Trade Center killed 2,752 victims (343 firefighters and 60 police officers) and the attacks on the Pentagon caused 184 deaths; the majority of victims who died in the Pentagon were civilians and nationals from 70 different countries. Within hours of the September 11th attacks, the Federal Bureau of Investigation was able to determine the names and personal details of the suspected pilots and hijackers. Mohamed Atta, was pinpointed as the ringleader of the 19 hijackers and one of the pilots of the four hijacked aircrafts. Similar to the other hijackers, Atta died in the attack; however, his luggage, which never made the connection from his flight, contained detailed documents and papers that revealed the identities of all 19 hijackers. By midday of September 11th, the National Security Agency intercepted a string of communications that labeled Osama bin Laden as the unwavering mastermind behind the attacks of September 11th. The FBI investigation of the September 11th attacks was the largest and most comprehensive investigation in the history of the agency. The United States government, following this investigation, determined that al-Qaeda, headed by Osama bin Laden, was responsible for the attacks of September 11th. The United States federal government responded to the September 11th attacks by launching the War on Terror. This counter-attack included the enacting of the USA PATRIOT Act and the invasion of Afghanistan to eventually dispose the Taliban—the agency who had harbored al-Qaeda terrorists.